Certain items may be available for pickup or delivery same day, within 24 hours, within 48 hours, or with 2 weeks notice. 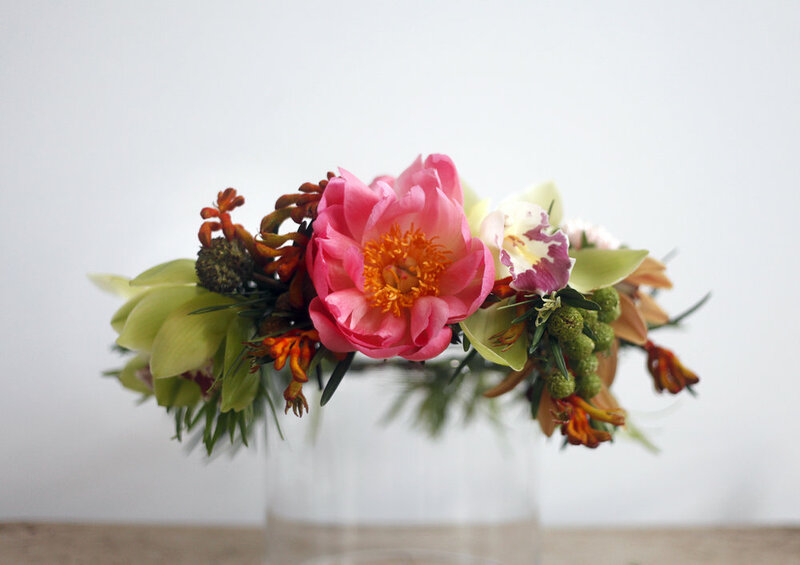 Small & medium sized protea arrangements, balanced with assorted seasonal stems. Choice of clear cylindrical glass vase or white ceramic square container. 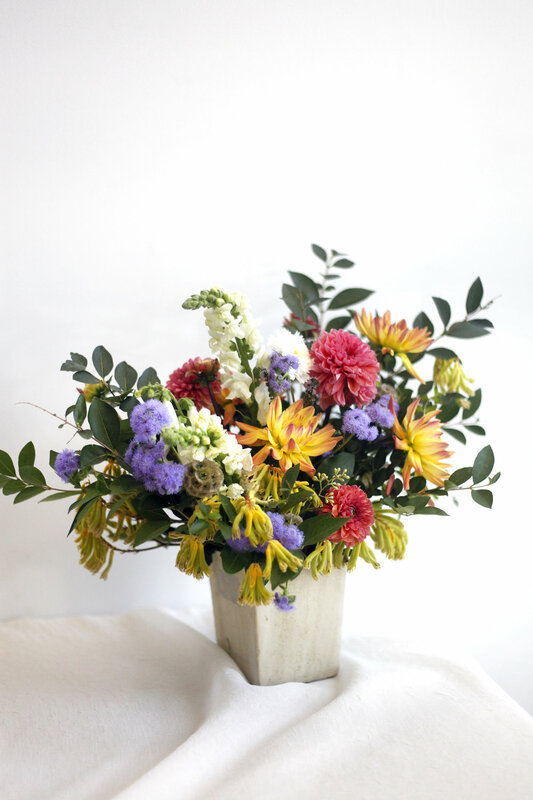 Various sized tropical arrangements, balanced with assorted seasonal stems. 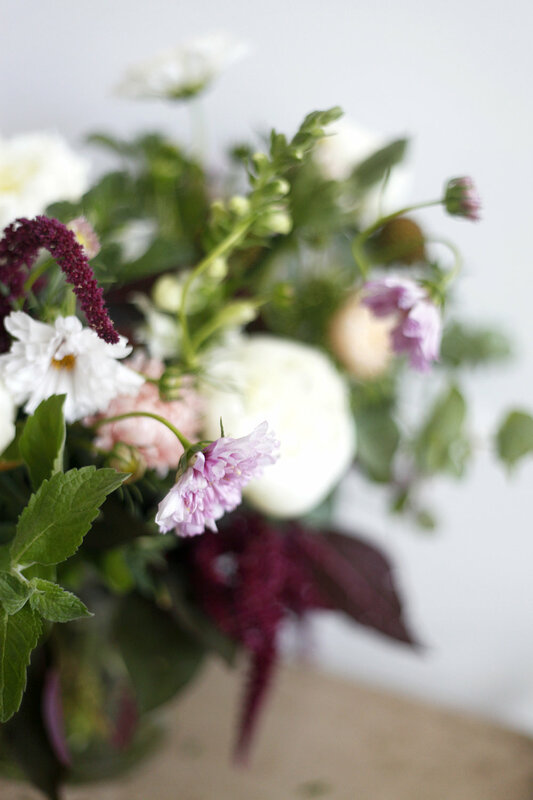 Various sized seasonally inspired arrangements highlighting herbs, greenery and fragrant stems. 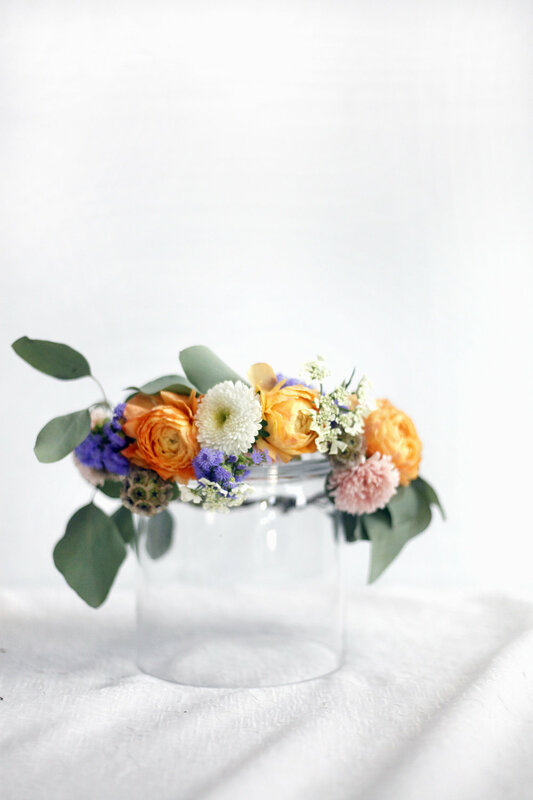 Wearable crown decorated with a mix of fresh flowers and greenery. Wearable crown decorated with a mix of fresh tropical flowers and greenery. 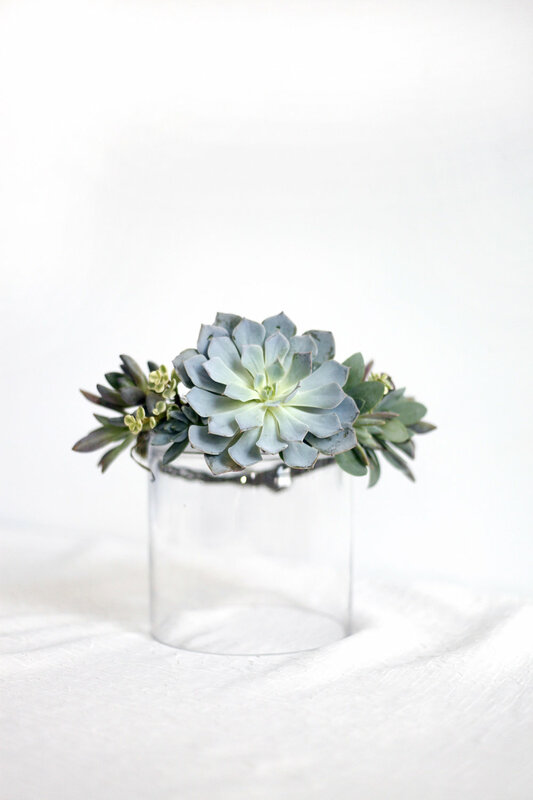 Wearable crown decorated with a mix of succulent cuttings, flowers & greenery. Cuttings can be removed & rooted for growth after use. Wearable boutonniere decorated with assorted, fresh greenery. Wearable boutonniere decorated with a mix of fresh flowers & greenery. 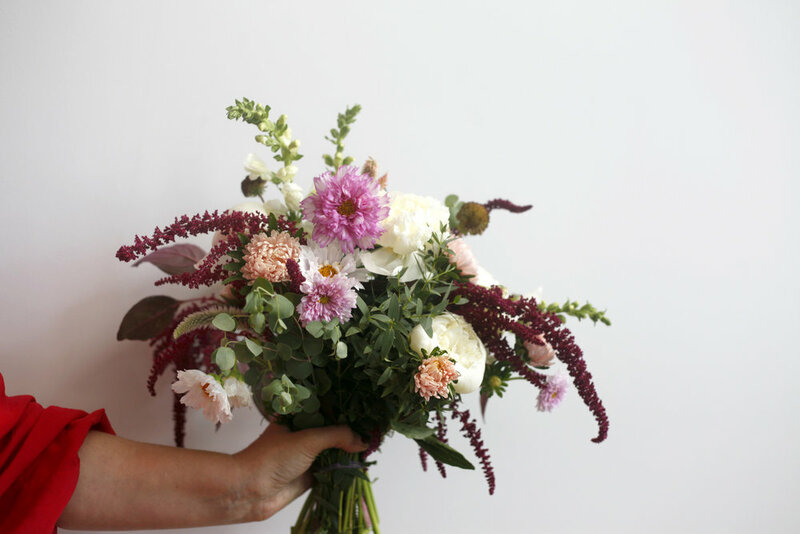 Choose between tropical or seasonal stems. 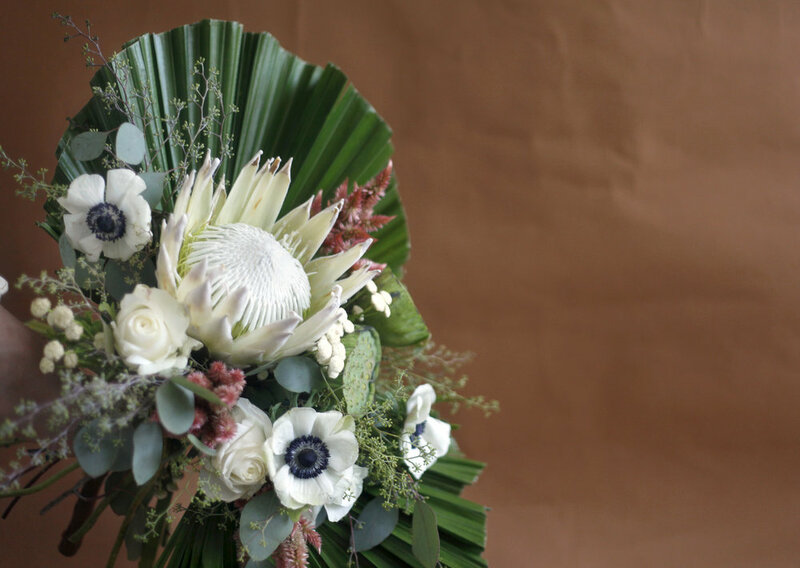 Wearable boutonniere decorated with succulent cutting, fresh flowers & greenery. Cuttings can be removed & rooted for growth after use. 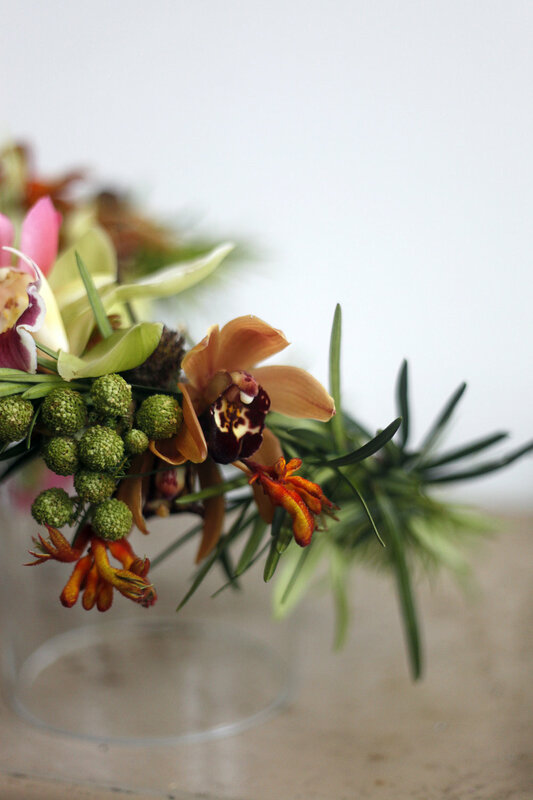 Wearable boutonniere decorated with air plant, fresh flower and greenery. Air plant can be removed and grown after use. Add a living wall to any event! 6x4 foot frame. 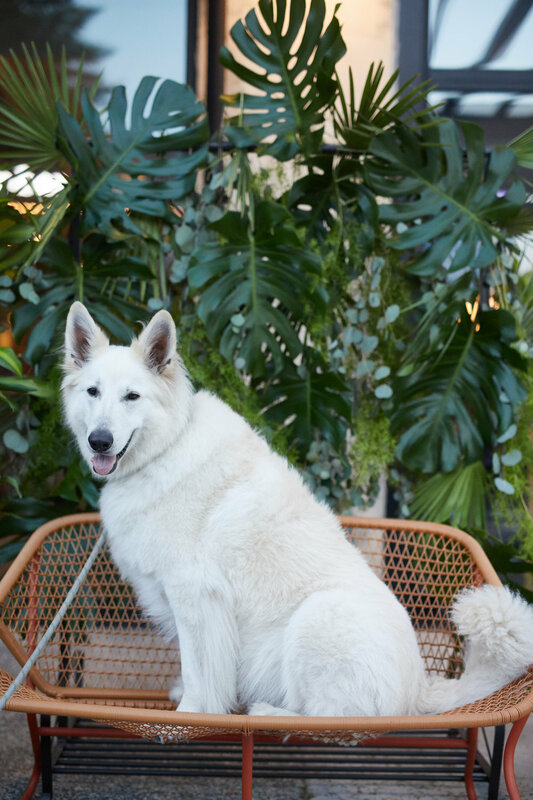 Perfect for photo backdrop, ceremony. 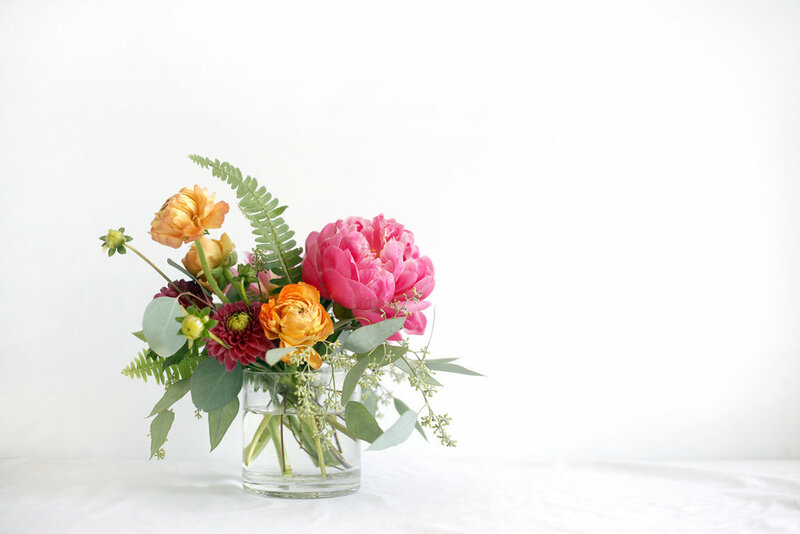 Frame option includes solely greenery around edges. Backdrop is more full with greenery/flowers around edges and hung vertically to fill out center.